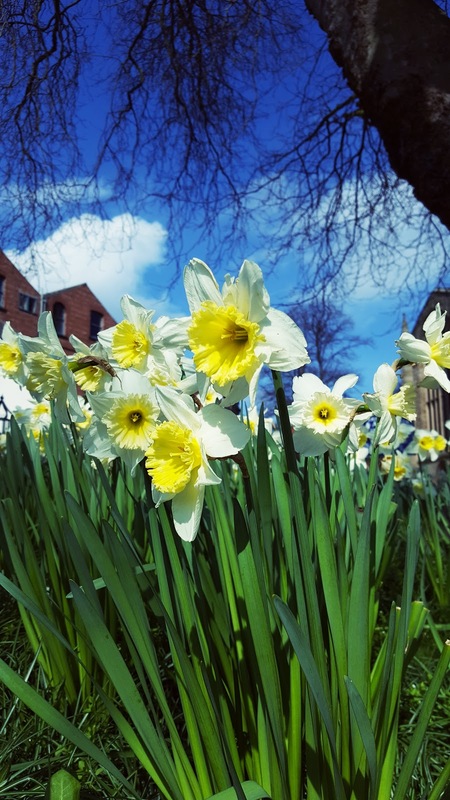 Blue skies And Daffodils : The Weekend Blog Hop.. Thanks for stopping by and linking up to the weekend blog hop. Happy you are here and hope you have fun hoping around and finding new blogs to read, follow and comment on. 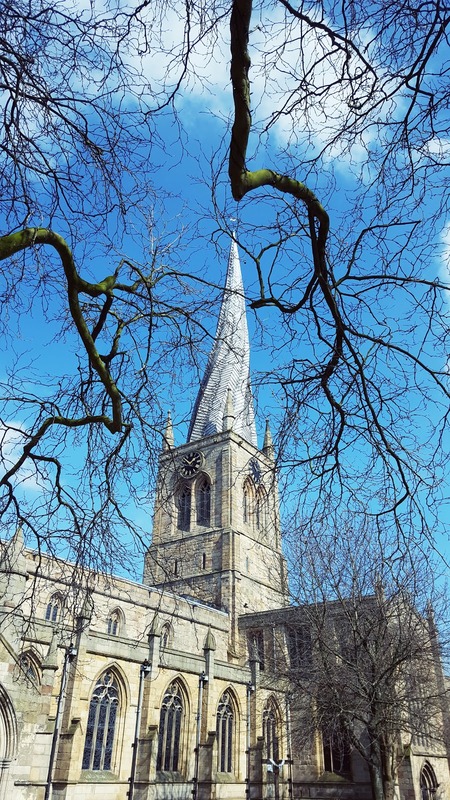 Sharing some pictures from one of our days out over the holiday in Chesterfield. 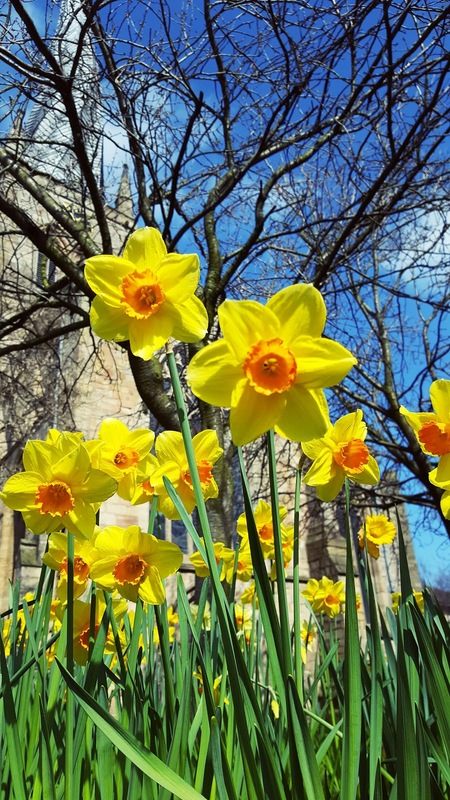 Blue skies and Daffodils. Such a beautiful Spring day. 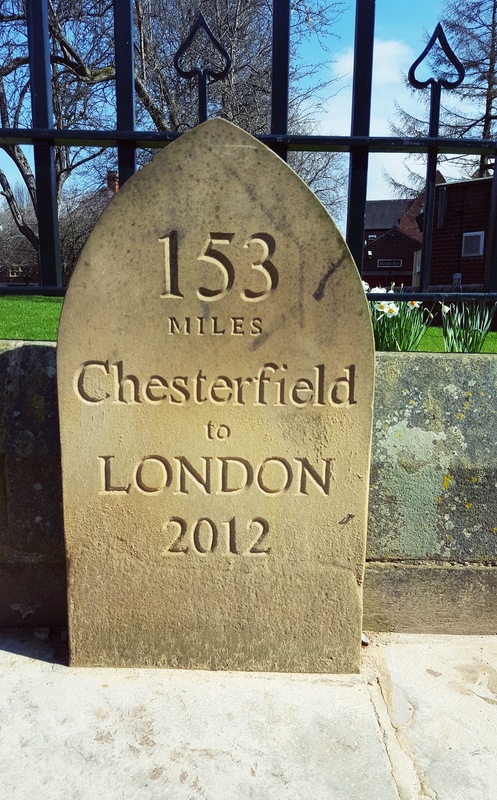 Have you every been to Chesterfield before? Famous for The Crooked Spire? Link up any of your posts on the linky below. Add any posts with pany theme in them. Simple eh!? These posts can be old or new. Fun or serious. Creative or inspiring. Please try to hop on around the blog hop and leave a few comments on others posts that have linked up before or after you. 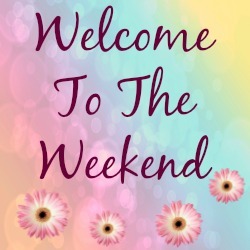 If you would like to add The Welcome to the weekend blog hop button on to your own blog or post you can find it here: blog hop buttons. You are also welcome to grab the code and share a blog hop on your own page too. Do not forget to stop by on Friday for The Weekend Blog Hop Or Mondays for Creative Mondays to link up to the parties. Want to co host? Why not drop me an email? This linky list has now been deleted due to old or broken links. 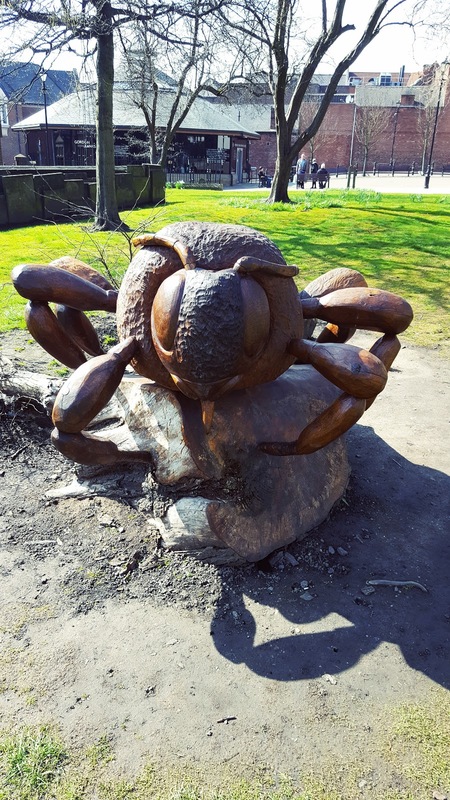 New blog hops posted every week. Please hit the home button to find our latest blog hop and join us here. What beautiful pictures!!! 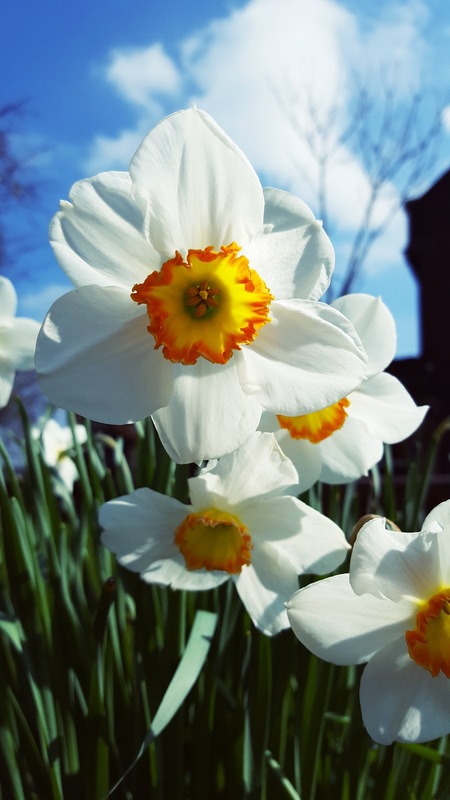 The daffodils in NY are finally starting to bloom! 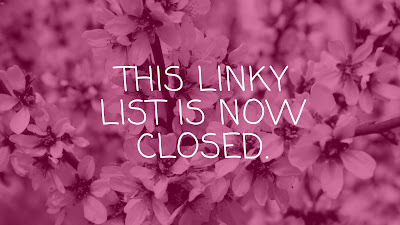 !Thank you for the lovely linkup! Have a great weekend!! GREAT photos! Love those blue skies! So pretty! I wish we had blue skies around here too, but we've been having just rain, rain and more rain…Thank you for hosting and have a wonderful weekend! You guys have some gorgeous daffodils over there. That huge sculpture is beautiful. As always such pretty photography.Welcome by and linkup Claire. Thanks. Such gorgeous photos! I just love daffodils. Have a wonderful weekend! You had lovely weather in sunny Chesa! My hubbie's family are from nearby Ashover. THanks for hosting the linky party! Thanks Jane, the weather around us has not been to great over Easter though, has it! !